These are not alphabetical, so you may need to look at all the pages to find what you are looking for. This great, nearly 4.5" long diecast comes with a free display case. Click for more photos. Amazing detail and quality in this 1:18 scale, 9" long diecast by Autoart. Click for larger photos. New, updated version - even higher quality. Awesome 1:18 scale (10" long) diecast by Auto Art. Incredible detail - you won't be disappointed. Click to see some amazing photos of the diecast. Awesome 1:18 scale (10" long) diecast by Auto Art. Incredible detail - you won't be disappointed. Click to see some amazing photos of the diecast. Excellent 1/43 scale (over 4" long) diecast of the R34 GTR Skyline from the masters at Auto Art. Highly detailed, and comes with a FREE acrylic display case. Click for more photos. Long since discontinued, we do have a few of these rare diecasts left. This VW convertible model car is of the best quality you will find - no other diecast company comes close. Approx 9" long, the detail is impressive. Click for photos. From the masters at Auto Art, these are highly detailed 1/43 scale (approx. 4" long) diecasts. Comes with a free acrylic display case. Click for more photos. Highly detailed 1:43 scale (4" long) diecast. Comes with a FREE acrylic display case. Click for more photos. Autoart is sold out and this diecast has been discontinued. We only have 1 left. Once we sell out - that will be it - forever. 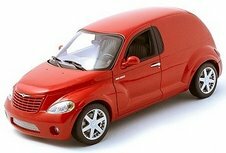 Highly detailed 1:18 scale (10" long) diecast with opening doors, trunk and hood with excellent interior and engine detail.